The Space Terrace dancers needed to hear Carl play a three-deck House set and see his infectious energy behind the decks because those two Cox elements, the visual and his mixing, together were guaranteed to ignite any dancefloor in the world. Easy you might say, but no, Fritz flatly refused me at first insisting that Carl only DJ's in the big dark main room with Techno. 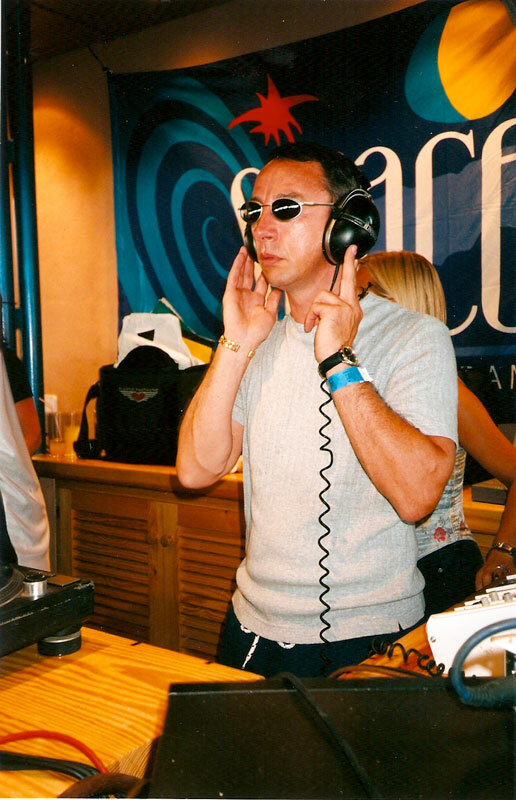 I said ok, we'll take the 1998 Radio 1 Ibiza Essential Mix recording to another club in Ibiza then, with a smile, because I knew I had that ace up my sleeve. They agreed and a major piece of dance music history was on its first page. The photo below of Pepe and Fritz is from that chat. 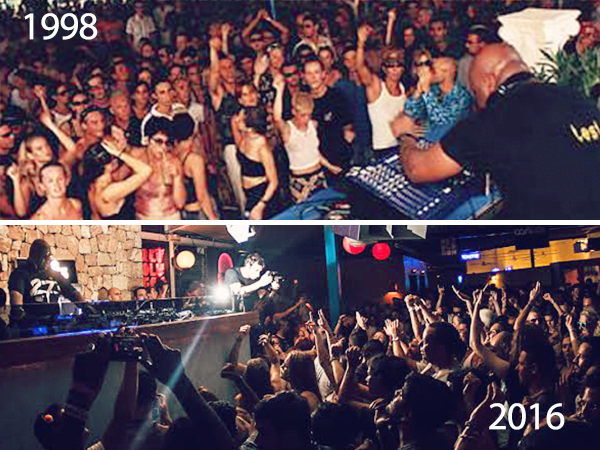 Now every DJ in the World wants to play the Ibiza Space Terrace and Carl has featured every year since '98 right up to his big exit party this summer 2016, 18 years of pure Cox magic, the vision of which came to my creative brain one night in December 1997 at the BBC Radio 1 studios when Carl was mixing the end of year 4 hour Essential Mix for me - but the first time on the Terrace that Sunday Aug 28th 1998 was incredible, something extra-ordinary. Carl literally tore the roof off and we had to go up and tie it back down again. I still have the CDs from that afternoon. 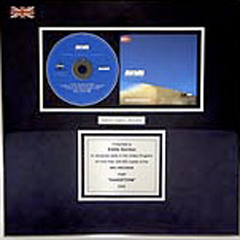 That performance, recorded by EG that afternoon, won two awards The Essential Mix of the Year 1998, on BBC Radio 1 and the Essential Mix of the Year in the Muzik Magazine '98 Polls. Well done and Thank you Carl. 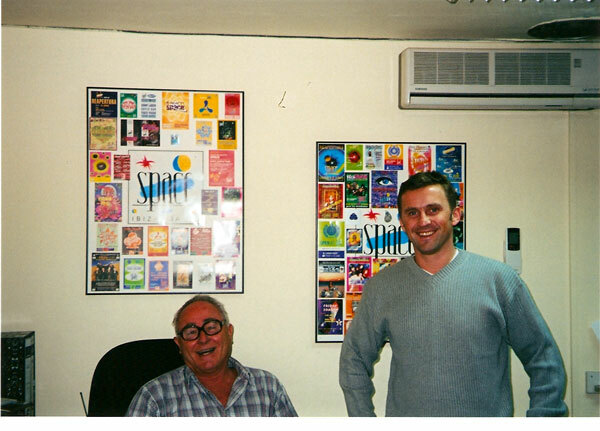 Photo 2 is Carl that Aug afternoon in 1998 in the centre of the room, as visioned, that started the Coxy Space revolution and Carl DJing in the same room in 2016, 18 years later..
Photo 3 is Pepe and Fritz the Kings of Space Ibiza back in 1998. *2017 - Space Ibiza has now ended. The venue is called "Hi"
Below is a video from 1997 featuring Jose Padilla, Tong, Rampling, Tony De Vit (RIP), Jason Bye and yours truly talking about the Ibiza season '97.